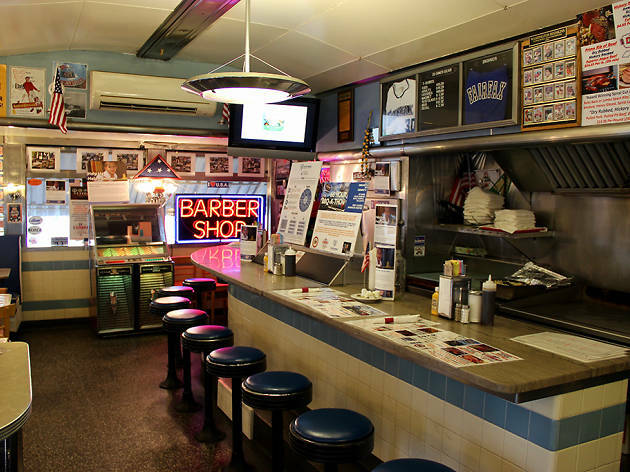 Diners are a part of America’s heritage. Sure, the best French restaurants in Washington, DC and the best seafood restaurants in DC are always great dining destinations, but all Americans can conjure up childhood memories of sitting in a vinyl booth, putting too much syrup on pancakes while getting a brain freeze from a giant milkshake. 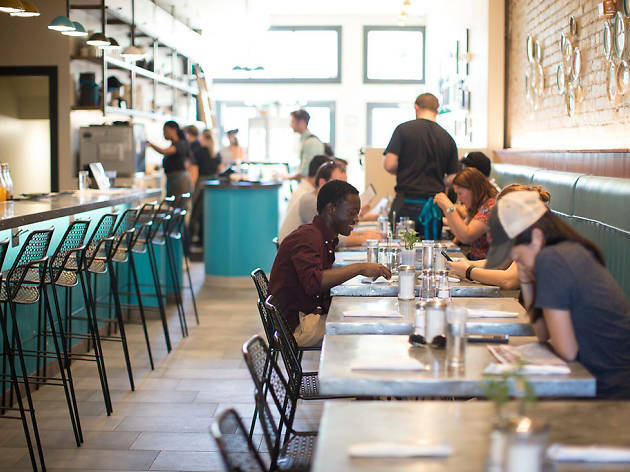 And, as luck would have it, our town boasts a sizeable amount of luncheonettes and greasy spoons that serve the kind of comfort food (including some of the best burgers in DC) that you’re most likely always craving. 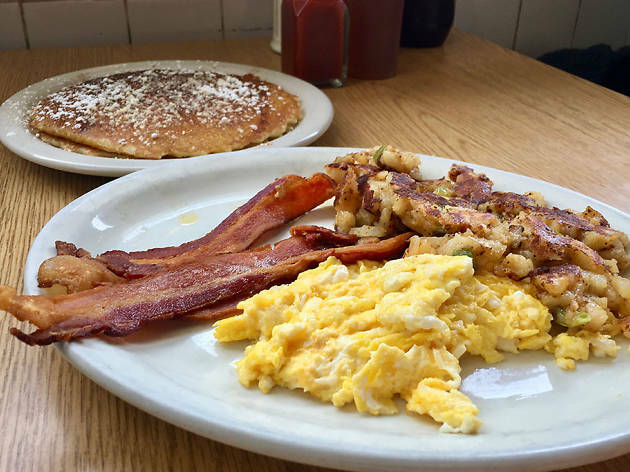 Whether you’re in the mood for breakfast, lunch, dinner or a snack, the best diners in DC have got you covered. 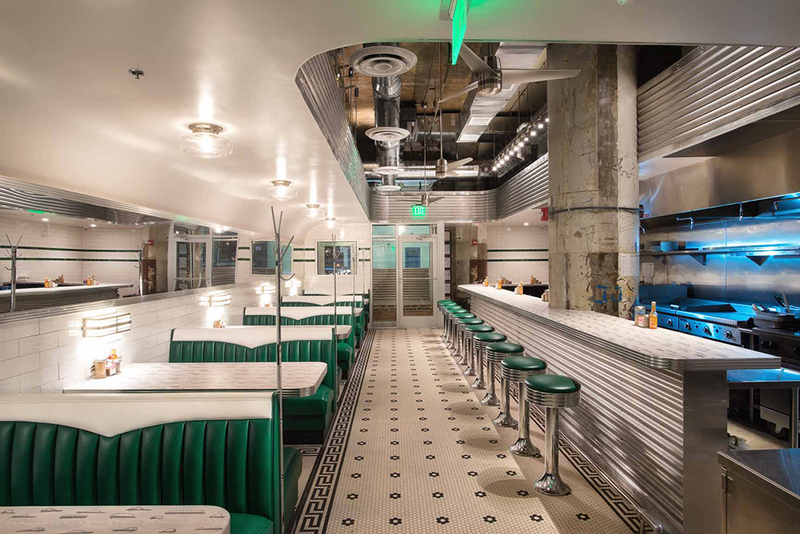 The original Ari’s Diner, which was restaurateur Ari Gejdenson's first foray into the world of hospitality, is located in Florence, where it’s still serving American diner fare to Italian patrons. Gejdenson opened the spot while he was playing pro soccer overseas and looking for late-night establishments with food that reminded him of home. Back stateside with a sizable portfolio of restaurants under the Mindful Restaurant Group umbrella, Gejdensen has decided to recreate his original diner concept in Ivy City’s Hecht Warehouse. 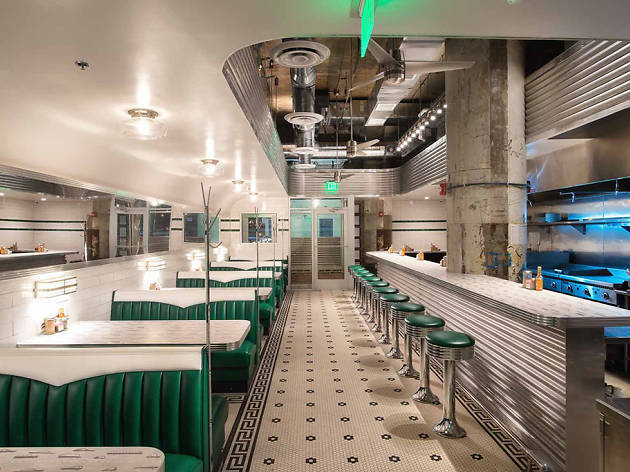 The space is modeled after a GMC Streamliner, with chrome as far as the eye can see. 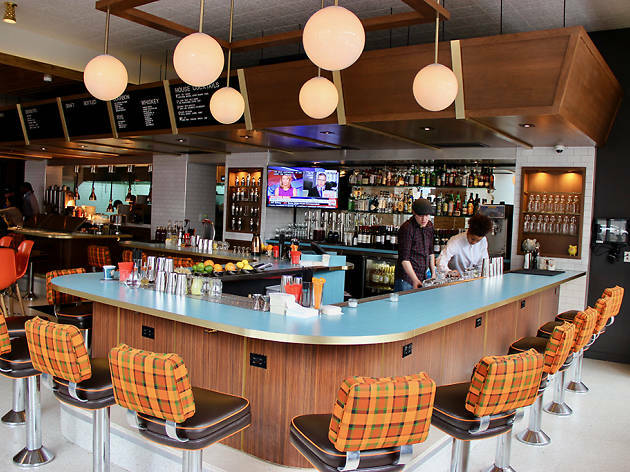 The menu includes well-executed versions of the classics—plenty of breakfast options (don’t miss the pancakes), organic burgers and milkshakes (boozy or regular). There’s also a section that pays homage to the first Ari’s Diner, with trattoria dinner specials like chicken parmesan and rigatoni al ragu. Restaurateur Mark Bucher (founder of BGR and Medium Rare) doesn’t see Community as a diner, but as a restaurant and lounge where the people of Bethesda can come together. Bucher, a resident of the neighborhood, noticed a need for this sort of gathering place. The resulting space is what he describes as The Brady Bunch meets Frank Lloyd Wright. 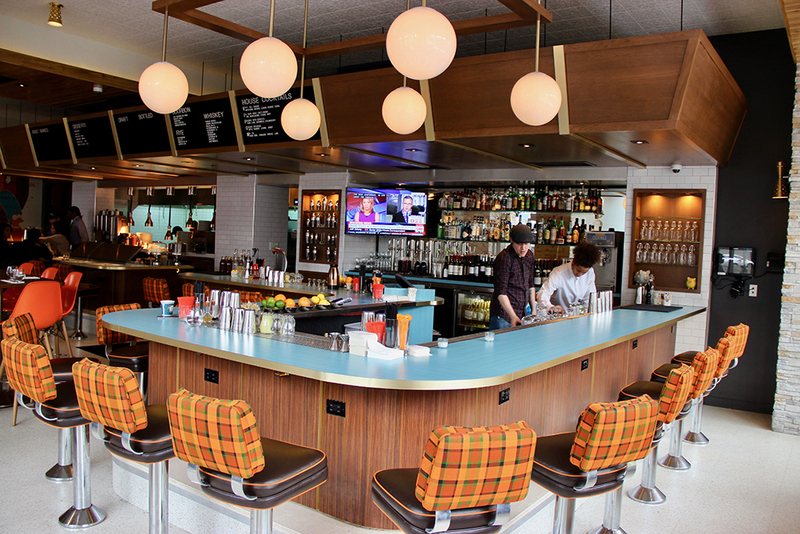 It’s reminiscent of classic diners in Palm Springs and Miami, and the menu is all about American comfort food. Given Bucher’s love for beef, it’s no surprise that burgers are a top seller here—including “parody” offerings like the Trumpster, with American cheese, Russian dressing and a very small pickle. 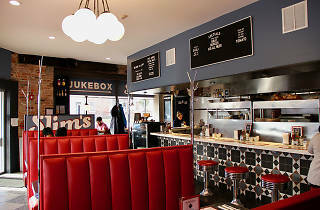 Expect plenty of other diner fare, like breakfast all day, fried chicken and stacked sandwiches. The drinks menu focuses on traditional cocktails from the ‘40s and ‘50s, plus alcoholic slurpees (called Slurpdees) and adult milkshakes. 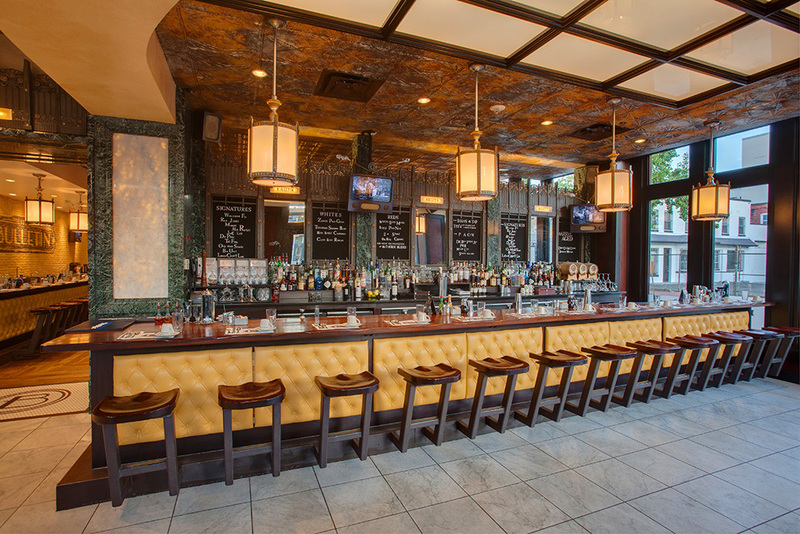 First opening on Capitol Hill in 2010, Ted’s Bulletin now has a total of five locations across the DMV. The family-friendly favorite serves up nostalgic fare in a cozy, old-timey setting—complete with black and white movies and TV shows played on a projection screen. The one drawback? The eatery doesn’t take reservations, so be sure to get here early or swing by during an off-peak time, unless you want to get stuck waiting for hours for house-made pop tarts, stick-to-your-ribs breakfast fare and hearty suppers. For a little bit of everything, order the Big Mark Breakfast: three eggs, two strips of bacon, two sausages, hash browns, toast and a Ted’s tart. Or take it easy with Mark on an Off Day—just two eggs, meat, hash browns and toast. Breakfast is served all day, but there are also lunch and suppertime favorites like the grilled cheese and tomato soup or the buttermilk country fried steak—all to be washed down with an adult milkshake. When a vegan goes to a diner, what does he order? Sorry, no punchline here. 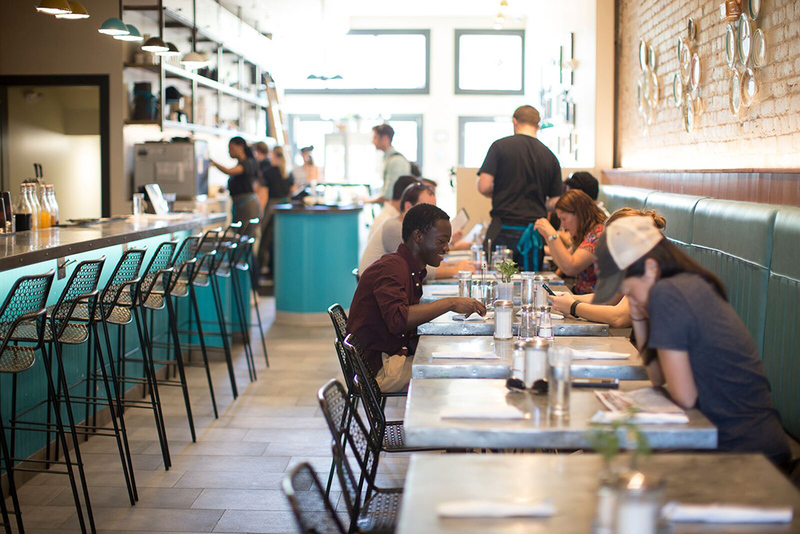 Vegans and diners typically don’t mix, that is, until Fare Well entered the scene. Doron Petersan of Sticky Fingers Sweets & Eats opened her newest spot to serve plant-based diner fare to all sorts of eaters, but especially for vegans. Find meat-, dairy- and egg-free versions of classics, like tofu scramble, seitan and waffles, pancakes, milkshakes and a mushroom-chickpea burger. 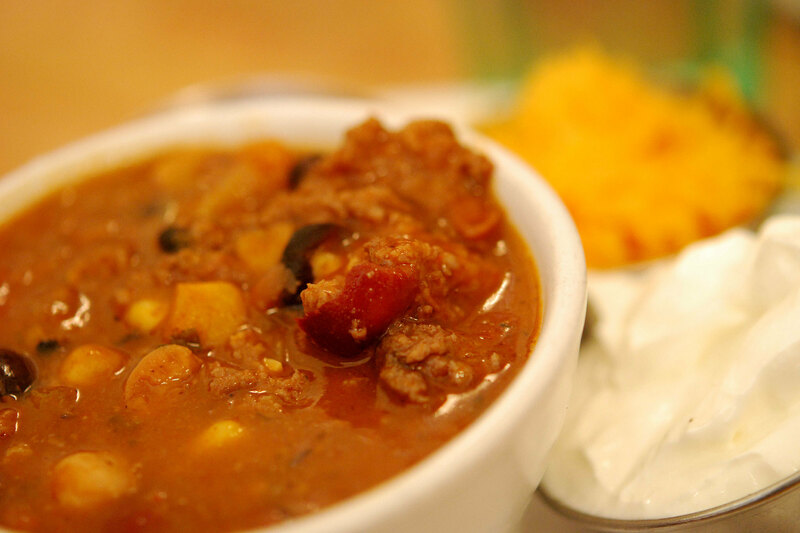 Even carnivores won’t be disappointed by the hearty main courses on the dinner menu. Southern fried seitan stands in for chicken, mushroom scampi replaces shrimp and pierogis are stuffed with flavorful nut cheeses that don’t leave you craving the real thing. Since Petersan is the queen of vegan cupcakes, you better not skip dessert. This DC institution was in danger of shutting down recently, but it’s back in action, much to the delight of the regulars who pack the place during weekends and mealtimes. The sometimes-long-waits are worth it for homestyle soul food like pan-fried chicken, Cajun-fried catfish, collard greens, macaroni and cheese, cornbread stuffing and more. Breakfast is also well represented, with hot cakes (topped with cinnamon and sugar), eggs and biscuits. The grill has been serving the U Street community since 1944, apparently making it the oldest soul food restaurant in the world. The space looks well loved, but that’s because it has stood the test of time, even surviving the violent riots of the 1960s. 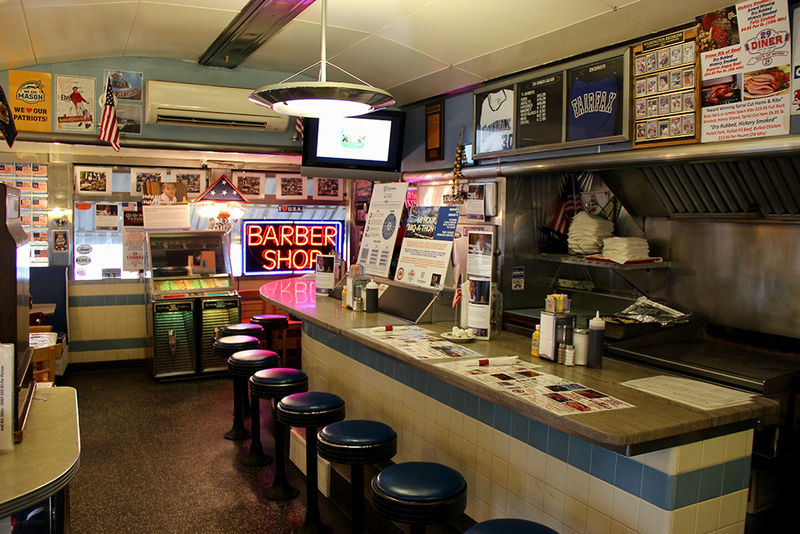 Photos of famous fans of the grill line the walls above the counter and the small booths. 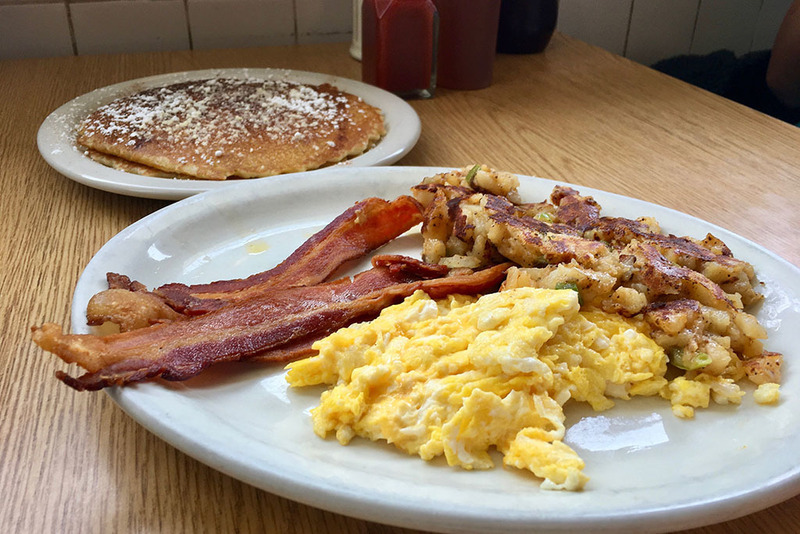 The 29 Diner in Fairfax has changed management numerous times since it opened in 1947, but it’s still serving family recipes and diner classics to this day. The diner was registered as a Virginia Historic Landmark by the Virginia Board of Historic Resources in 1992 because it was deemed a “rare survivor among once-numerous streamlined modern diners.” The current owner, Fairfax native John Wood, took over in 2014 and put an emphasis on hickory smoked barbecue, made in a smoker right outside the front door of the diner. The staff serves everything, from pulled pork and ribs to pit beef and chicken. The burger game is strong as well, with two monsters on the menu: the fried egg and bacon burger with sausage gravy and the mac and cheese bacon burger. In addition to the food and history, Wood has built a robust giving program at the diner. They host regular fundraisers to support teachers, local sports teams, veterans, homeless shelter visitors, the police force and more. 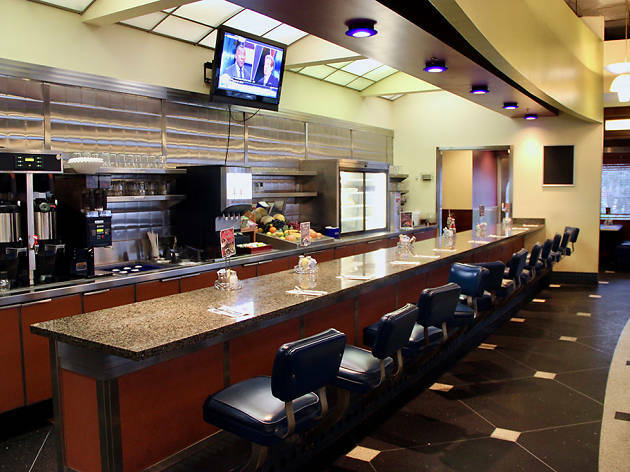 The diner operates 24 hours a day Tuesday through Sunday and is home to a 1958 Seeburg jukebox. 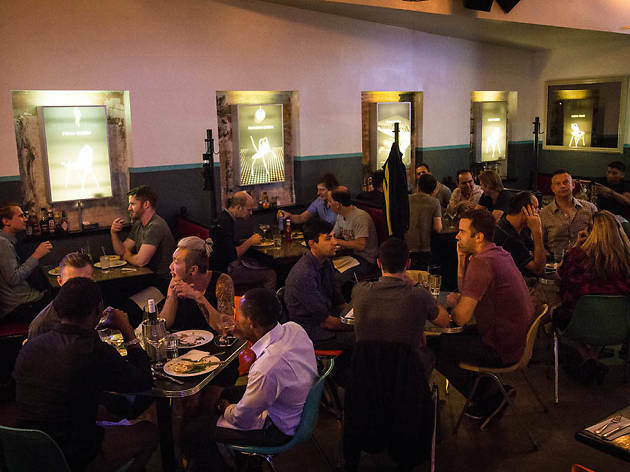 Nicknamed “the gay Cheers,” the Duplex Diner aims to be an inclusive place where everybody knows your name. 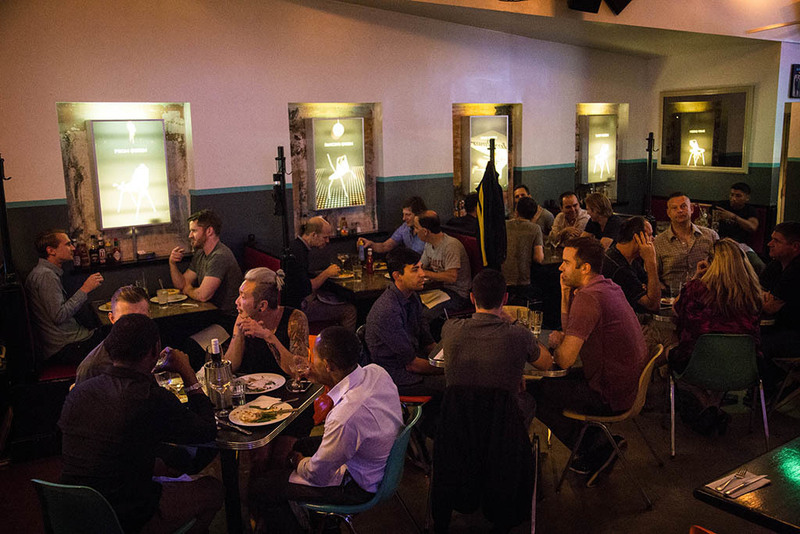 Since 1998, it has been a neighborhood gathering spot for locals and members of the LGBT community. Current owners Mark Hunker and Jeff McCracken were regulars of the diner since it opened before they took over in 2014. 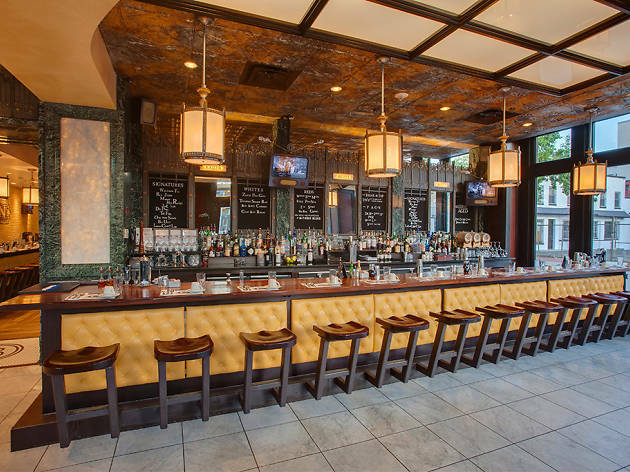 The staff will make you feel at home as they sling burgers, sandwiches, bar bites and entrees. Meatloaf, mac and cheese, grilled chicken tenders and pigs in a blanket with tots are some of the fan favorites. There are also specials that change nightly, like half-price items that start with the letter M on Mondays and bottomless rosé on Saturdays and Sundays. From the cocktail menu, try one of the variations on the lemon squeeze, or the LGB-Tea. When Paul Ruppert (the man behind Room 11, Petworth Citizen and more) saw the building that housed the Petworth pharmacy in the 1890s, he said it called out to be a diner because of the big, open windows and the central location. 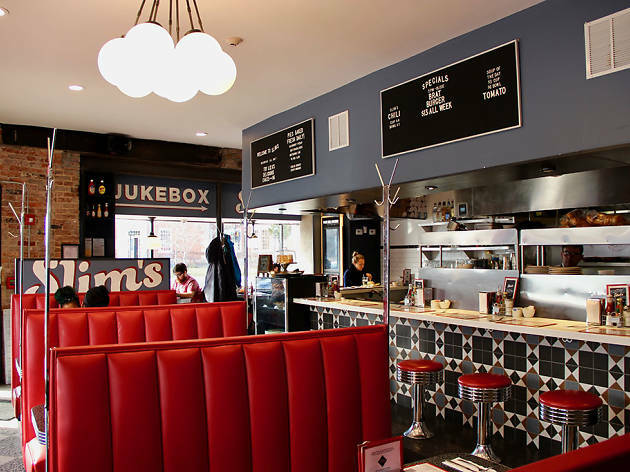 Slim’s Diner couldn’t be more at home in the space, which still boasts the original checkerboard tile flooring and exposed brick, along with new red vinyl booths, chrome diner stools and geometric wall tile. 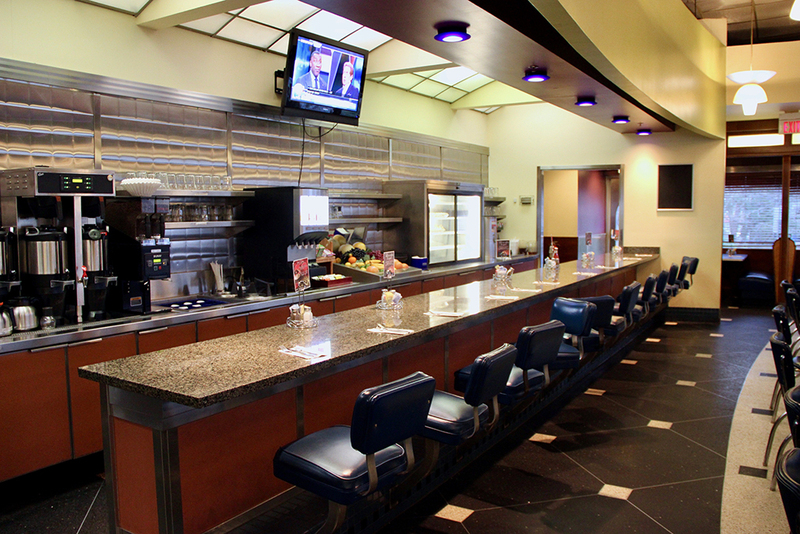 The diner’s namesake is James “Slim” Crawford, a carpenter and painter who has worked on all of Ruppert’s businesses. The number one sellers at Slim’s are the pancakes and burgers, but diners also appreciate the contemporary feel of the menu, which includes a tofu scramble and gluten-free options. The baking program sets Slim’s apart, with pies, cakes and donuts made fresh on the premise. This 24-hour family-run diner never closes—not for blizzards, not for holidays, not for anything. 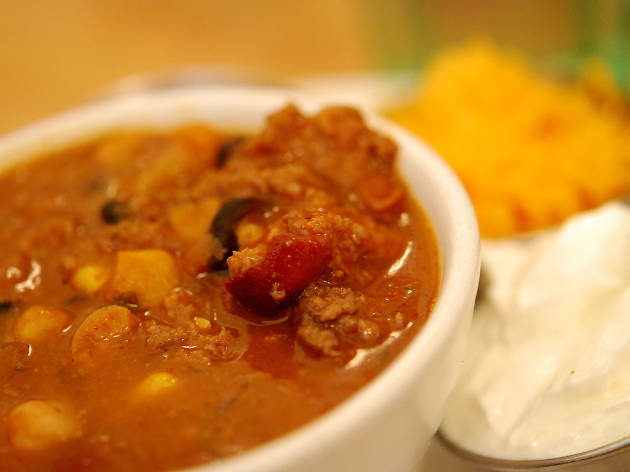 So, Northern Virginia residents can always rely on Amphora Restaurant in Vienna or Amphora Diner Deluxe in Herndon for a hot meal, any day of the week. There are over 350 items to choose from, so it’ll take you a while to get through the textbook-like menu, which is broken up into nine categories, with tabs to help diners navigate through it: beverages, breakfast items, appetizers, soups and salads, sandwiches, burgers, lighter sides, grand plates, desserts and a kids menu. The Amphora Group was founded by Greek immigrants Louis Cholakis and George Bilidas, so expect plenty of Greek staples, like spanakopita and moussaka. The patriarchs opened the Vienna location in 1977 and now their children run the show. Maria Cholakis says some of the most popular offerings today are the gyros, the (seven) eggs Benedict, the meat loaf and the French toast, made with fresh brioche from Amphora Bakery.